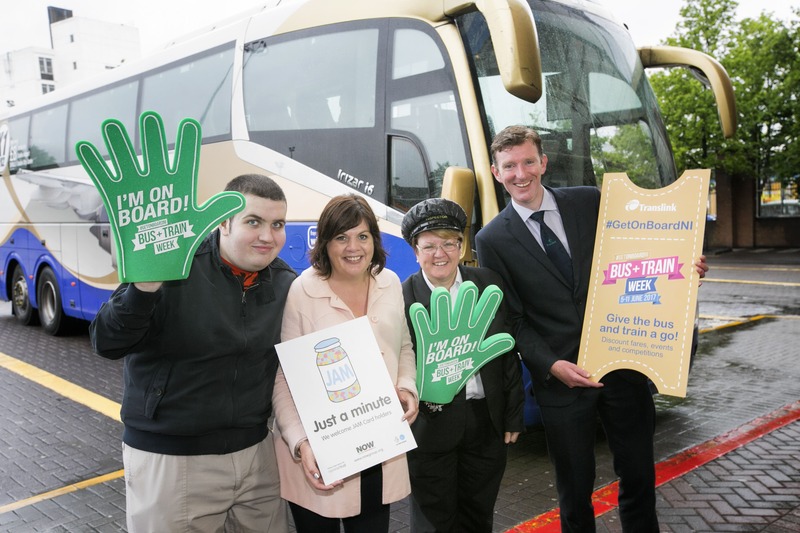 Northern Ireland's public transport provider Translink have announced their support of the JAM Card project and their plans to roll it out across the whole network. Ulsterbus, NI Railway and Metro staff will be made aware of the scheme to ensure they can assist customers and support them in accessing services safely and independently. "We are committed to ensuring our services are accessible for everyone travelling in Northern Ireland. We do this in a wide range of ways through our timetabling, ticketing, enabling assistance animals to travel with their owners and ensuring all vehicles allow for wheelchair, scooter and buggy access. We are very aware that many potential customers lack the confidence to travel on public transport. The JAM Card has proven to be extremely effect tool of breaking down this barrier and encouraging some of the most vulnerable in our society to lead an independent and active lifestyle. We are therefore delighted to develop our partnership with the NOW Group and this innovative initiative; it has been in use on the Metro for a number of years so we are excited to be able to roll it out across the network just before Bus + Train Week 2017. We want to support people of all abilities to make Translink your first choice for travel in Northern Ireland. A JAM Card awareness raising programme is being rolled out for our drivers, conductors and frontline staff to ensure they can support any passengers using the new App which is also free to download for all Apple and Android phones."